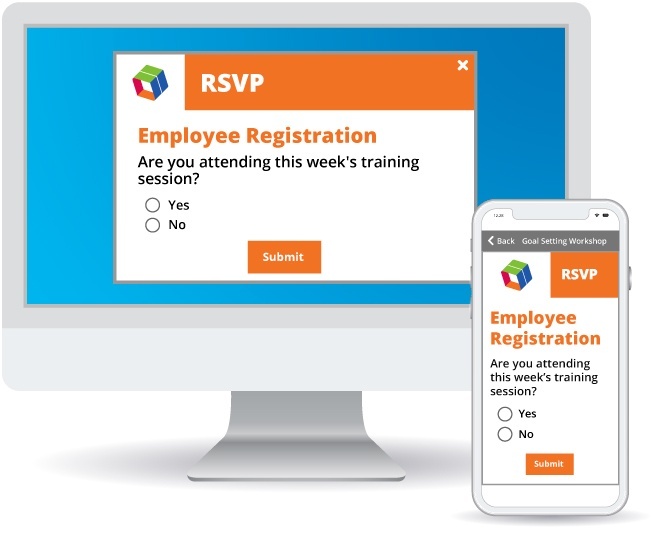 SnapComms pop-up RSVP invitation is a notification tool which you can send direct to the screens of your employees. It allows recipients to quickly and easily respond to your invite from their smartphone, tablet or desktop. Its unmissable format makes it far more powerful than traditional appointment emails sent via Outlook. And its registration functionality makes planning and organizing staff numbers for an event an absolute breeze! 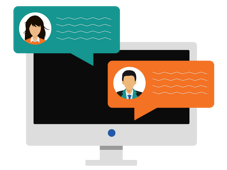 Use it to invite employees to important events – such as company announcements, training sessions, and workshops. At the same time, capture important registration details, such as preferred times; questions to pose to the CEO (or other speaker) and more. A SnapComms RSVP alert notification typically appears as a pop-up message, in the bottom right hand side of a screen, with the option of ‘read now’ or ‘read later’. Alternatively, it can be sent more discreetly to appear within a small message window, or more overtly, fully taking over the screen's real estate. To create an RSVP, simply enter the details of your event into the SnapComms Content Manager. Questions can be mandatory or optional, and only limited by your imagination. Add your own design touches, choose your target audience, and publish – straight to your employees’ screens and mobile devices. Employee responses are recorded in the SnapComms platform to facilitate smooth event planning. Why is an RSVP so Powerful? Compared with traditional ways of sending out invites (such as the overused channel of email), the RSVP tool yields a much higher response and attendance rate to your events. This is primarily due to its unmissable delivery format i.e. the pop-up alert arriving on top of other applications. Apply bright colors and designs to give your invite extra oomph! Once sent, you can easily track who’s attending, their preferences, any special requests – such as dietary - and send follow up reminders to those not yet responded. Staff can also make use of the automated calendar reminder for Outlook, so the event goes straight into their diary. Common Use Cases: RSVP's in Action! READY TO SEE YOUR VERY OWN RSVP ALERT AT WORK? 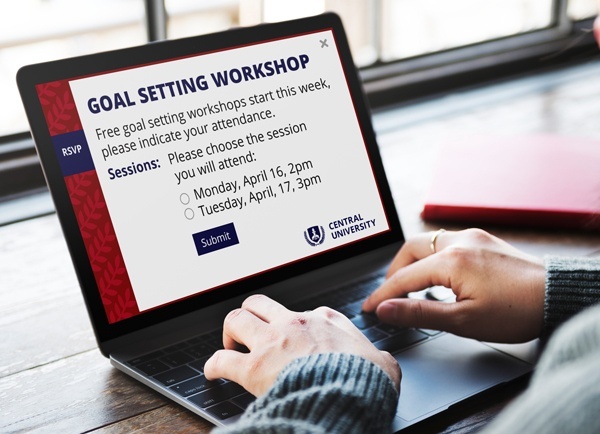 See for yourself how you can achieve exceptionally high RSVPs with a quick, zero-obligation demo from one of our friendly communication specialists. 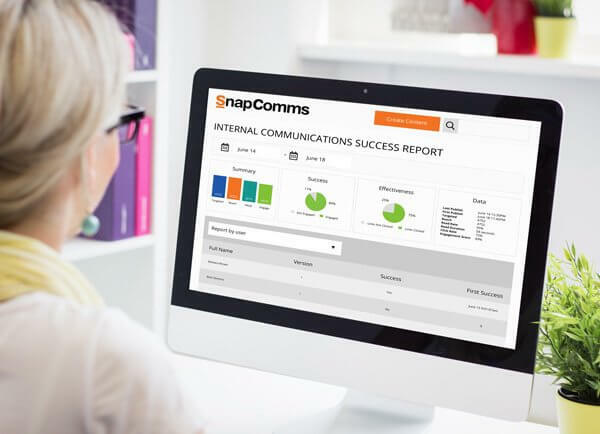 The SnapComms tools are fantastic for any company where staff are getting bogged down by too many emails.